Truth be told, my sibs and I have had to handle our share of road bumps these past few years. 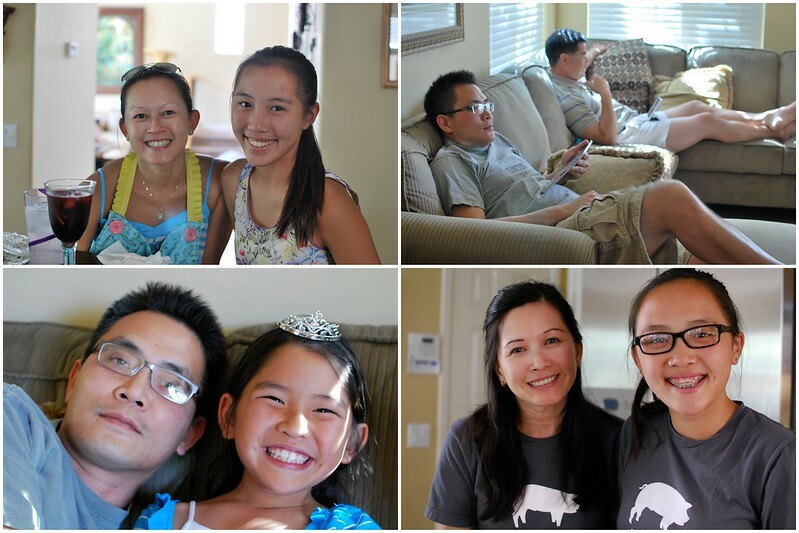 Things way out of our control—which is a real pain for a family full of Type A personalities. We’re cute–but Type A through and through. So we started our monthly Sunday Family Dinners. It gave us an opportunity to spend the day shopping for groceries, catching up, venting to each other, sipping cocktails, teaching the kids kitchen tips, gorging on food and well–just spending quality time together. We began by just throwing together menus of dishes we liked to eat and now it’s morphed into different monthly themes covering cuisines around the world. We’ve thrown caution to the wind creating dishes we’ve never attempted before with just the shells of recipes and our kitchen instincts. Pretty extensive menus if I do say so myself. 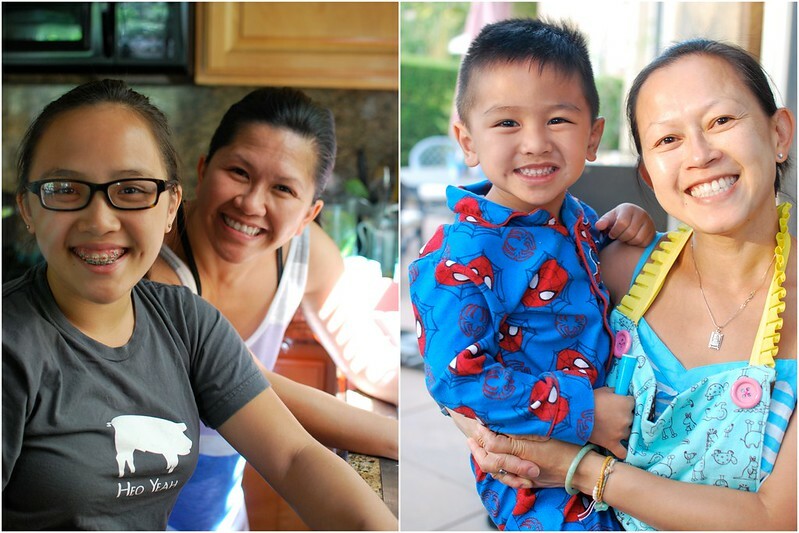 We’ve had a lot of memorable times through our Sunday Family Dinners from a full-on Cajun Seafood Boil in the backyard to a small kitchen fire from roasting our Porchetta to a Japanese Spread that would probably even make my favorite sushi chef, Tenchu, smile. And before we knew it, our 1 year anniversary of Fam-Din had arrived. Unfortunately our brother and his fam couldn’t fly back from NY but our sis P was able to make the trip down. 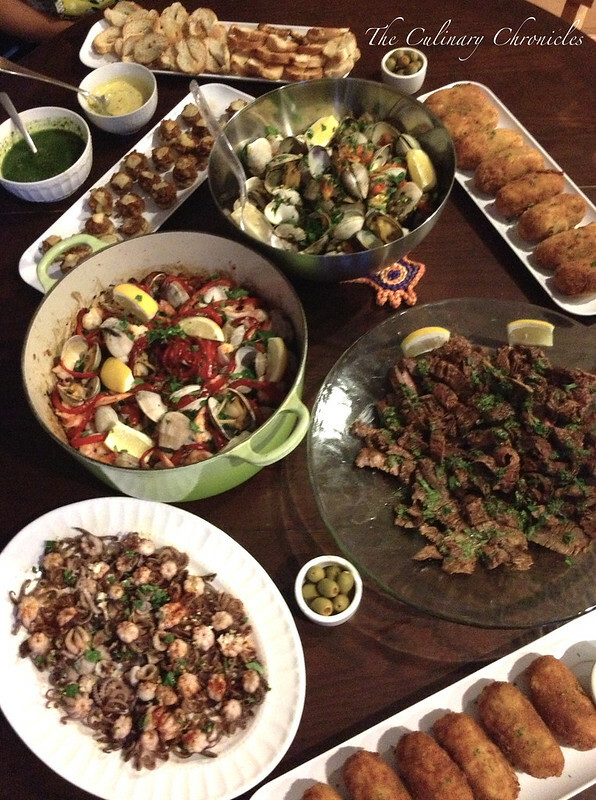 To celebrate one year of delicious eats and new foodventures, we put together a scrumptious Tapas Dinner. 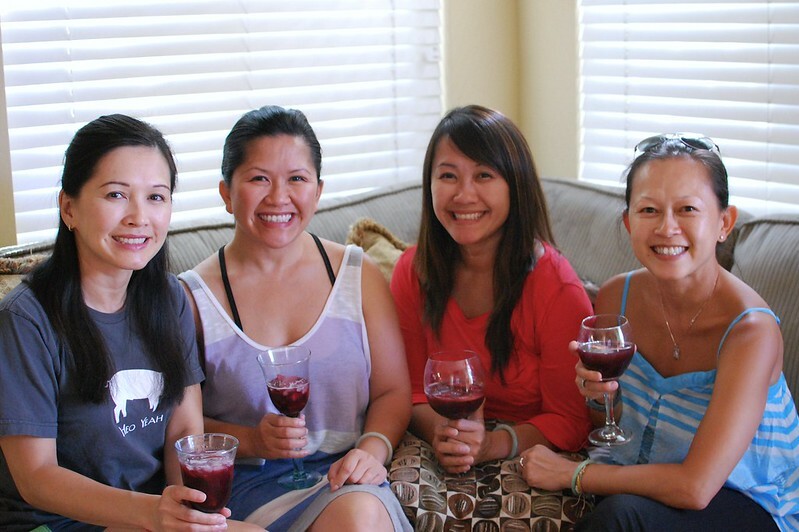 We started off with a few pitchers of my Red Wine Sangria that had steeped overnight. This liquid goodness is no joke, Friends. 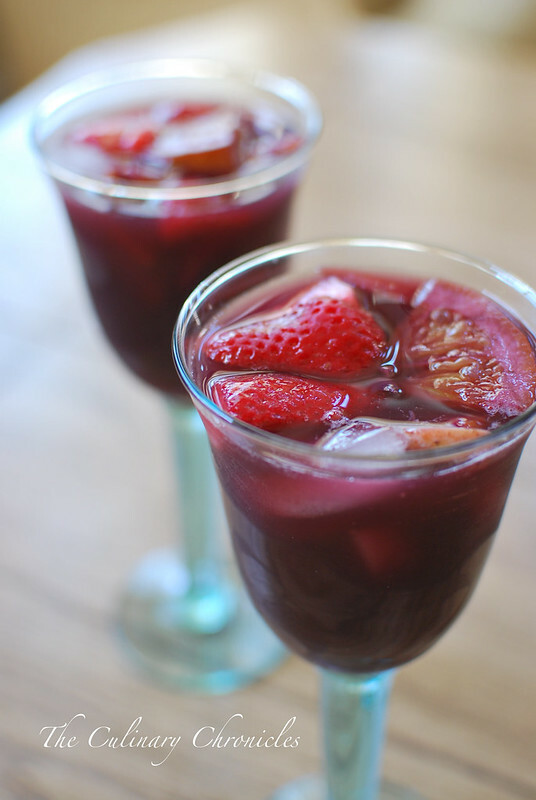 Sweet, fruity, and packs a punch! 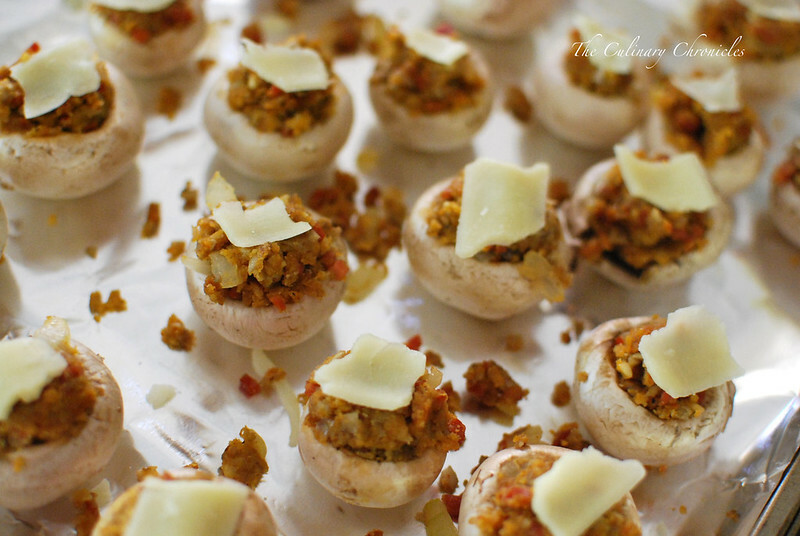 Next on the menu were Spanish Chorizo Stuffed Mushrooms. 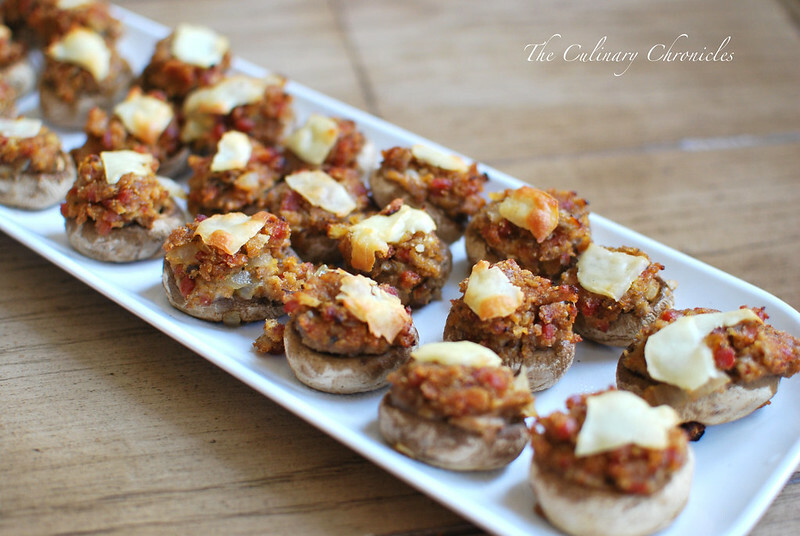 Spanish Chorizo gets its hue and rich flavor from the smoky Spanish paprika. 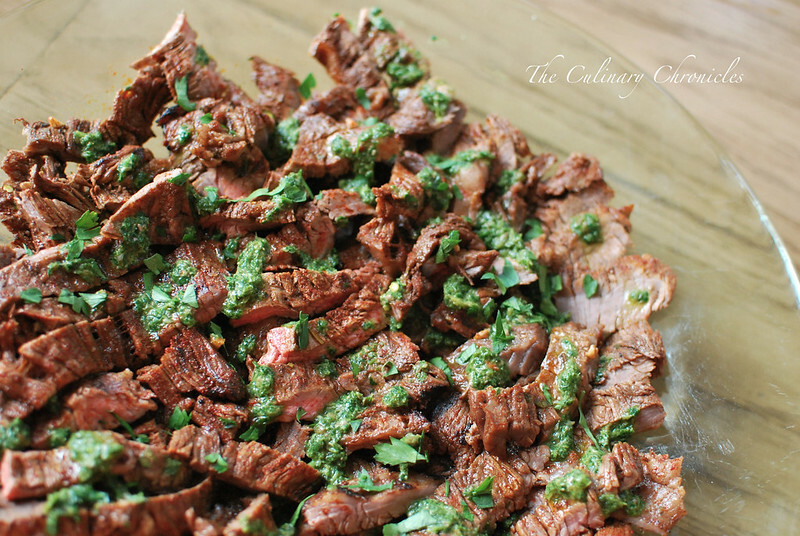 Then came the Grilled Flank Steak drizzled with an herbaceous Salsa Verde. 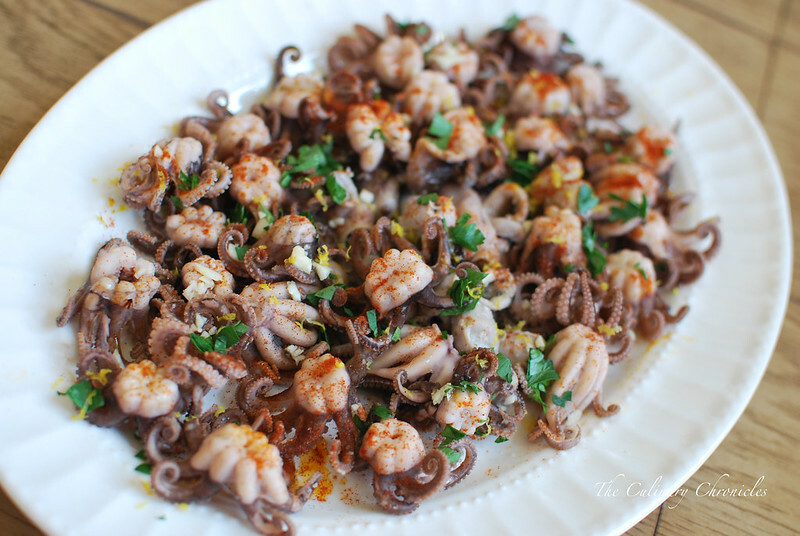 And then there were Baby Octopus seasoned with Spanish paprika, lemon zest, parsley and olive oil. 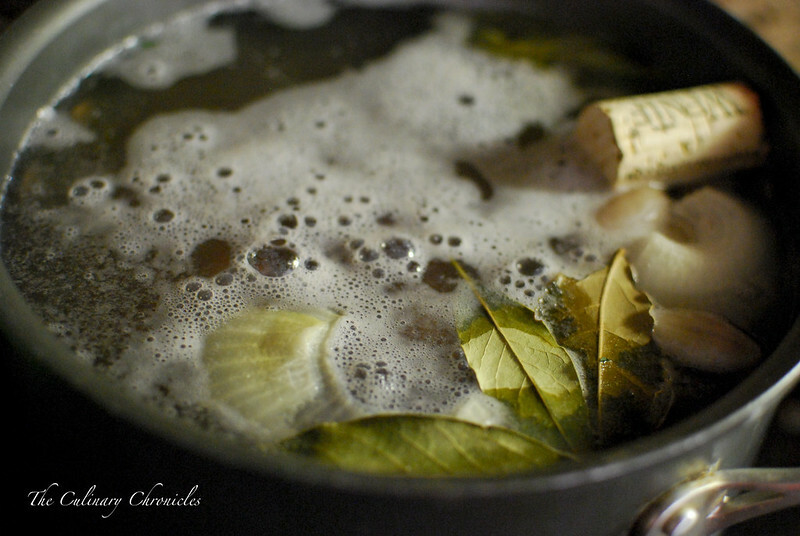 Did you know that when simmering octopus you should throw a wine cork in the pot to help tenderize it while still maintaining its toothsome texture? Supposedly it has something to do with the enzymes breaking down the octopus tissue. Is it true? Um…not 100% sure but if European grandmas have been doing this for centuries–who am I to disagree? Then we had the sleeper dish. 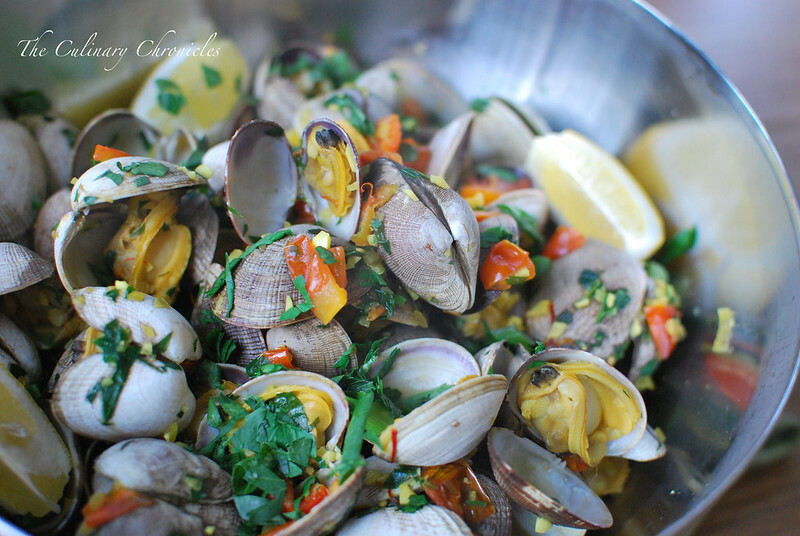 The dish we all underestimated and didn’t think much of until we took a bite– Saffron Clams. HOLY COW! Of course big seester cooked the clams perfectly so that they were still wonderfully tender but it was the broth that was the kicker. Mind-blowingly fragrant and multi-layered from the saffron threads, white wine, lemon and herbs. Total underdog and one of the MVPs of the night. And what’s a Tapas dinner without Paella? This is a tried and true recipe we’ve done many times before but it’s just so-darn-wonderful! 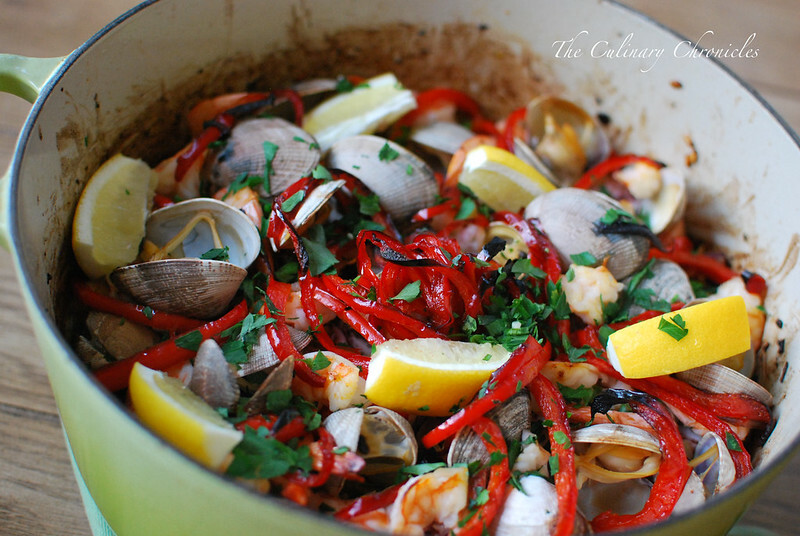 And you know who prepared the Paella? 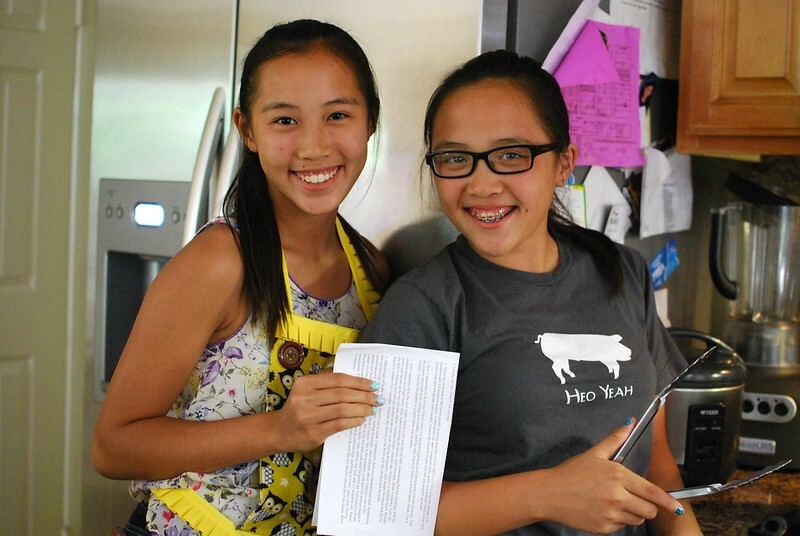 My 14 & 13 year old nieces– Nina and Nini! 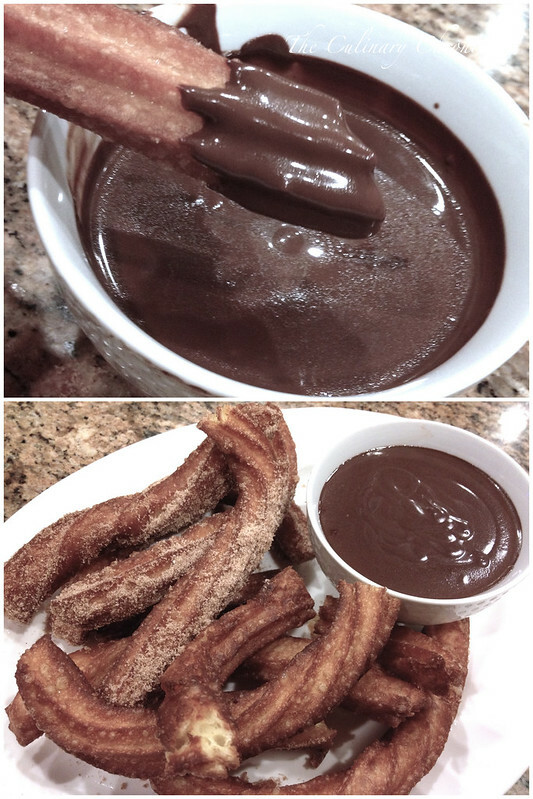 Yup, I’ll wait while you scroll up and take another look at the Paella photo………..
And because we all have quite a sweet tooth—other big seester made homemade Churros con Chocolate. Crispy fried dough dunked into a rich chocolate sauce? YES, PLEASE!!! As for me, my other contribution to our dinner were crispy Croquetas de Chorizo –because I’m the family’s Potato Monster. To make these Spanish themed croquettes, I start off by mashing up a few boiled Russet Potatoes. After adding some spices, herbs, and other goodies, I begin forming the little potato logs and stuff them with Spanish Chorizo and cheese. Depending on how you get your Spanish Chorizo, you can either cube it, slice them, or even mince them up. 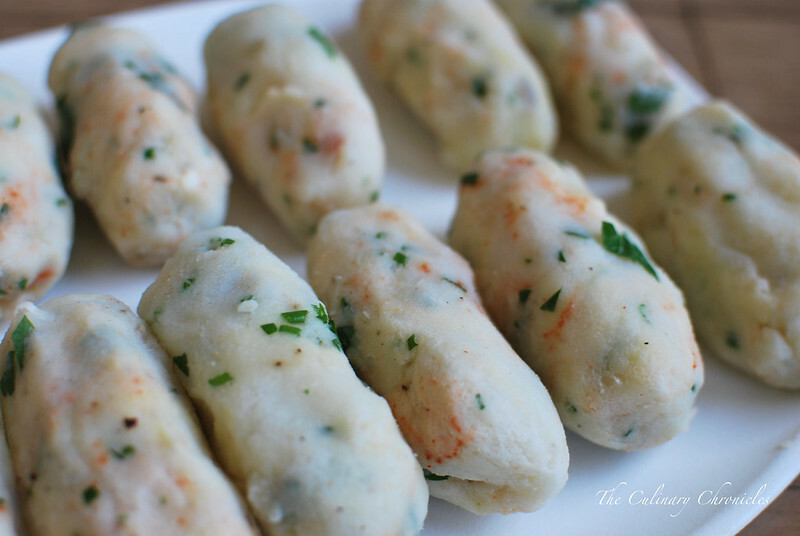 After the croquetas have been formed, toss them in the refrigerator so that they can chill and firm up. This helps them keep their shape during the frying process. 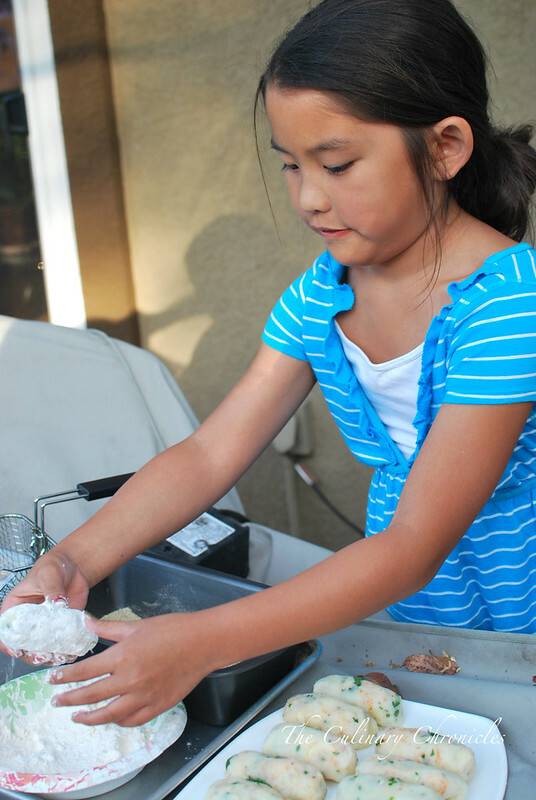 Next, enlist your 8 year old niece (like Maya) to help you dredge the croquetas. After they’re well coated, fry them until golden brown. 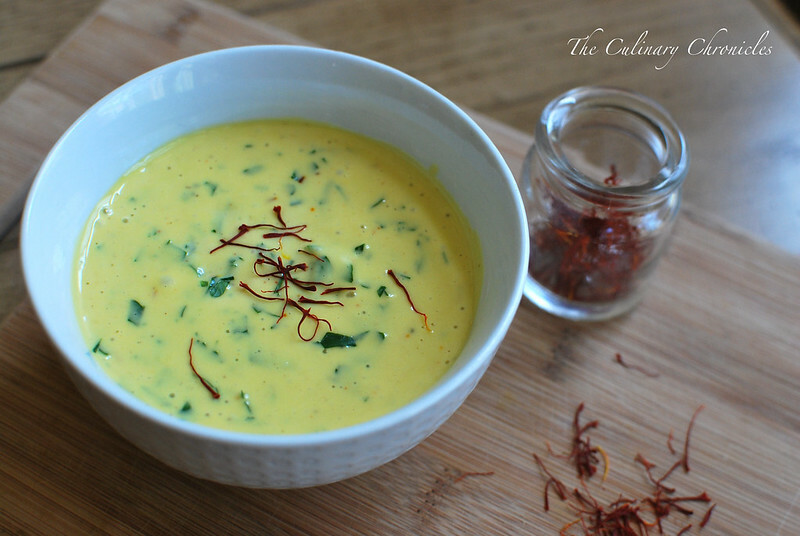 Once golden brown, serve them up with this floral and rich Saffron Aioli. Was our Tapas Dinner delicioso? Absolutely! But the best thing about it (other than hanging out with the Fam while sipping Sangria) is that the kids played such a huge role in the preparation of our dinner. 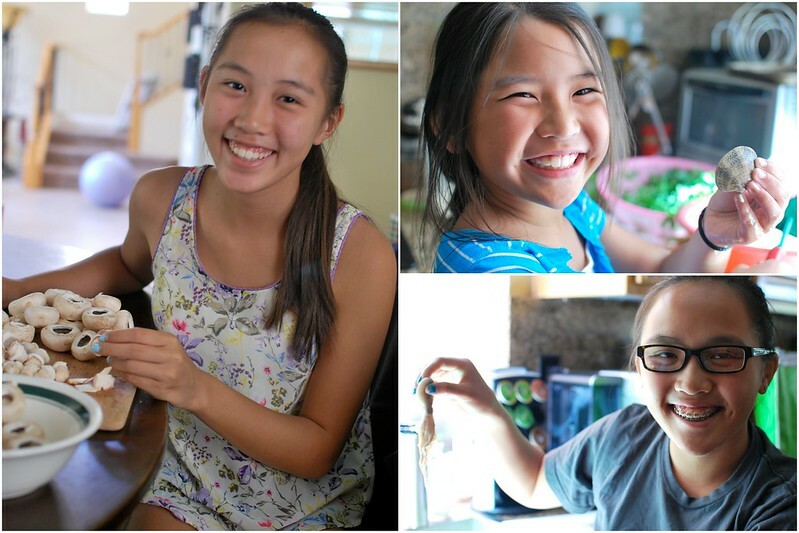 Although it’s bittersweet to see them grow up so quickly, we’re all so proud of them! Moral of the story? 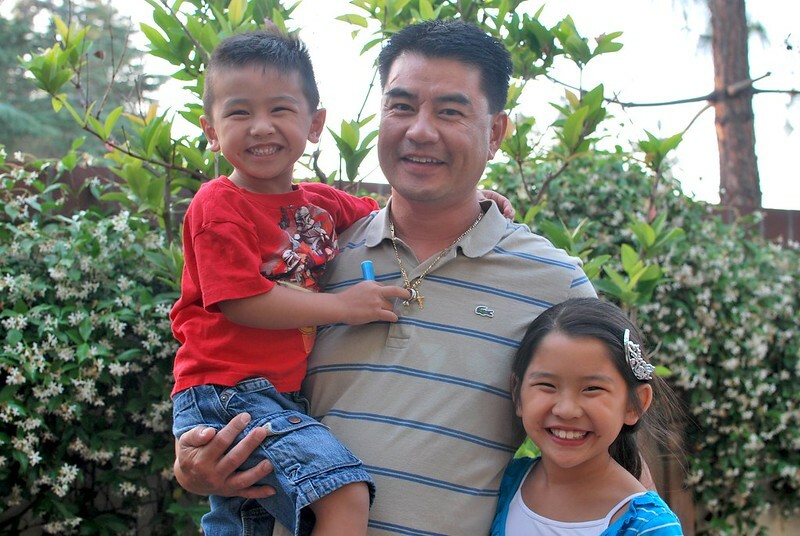 When life gives you lemons–cook every delicious thing in the world with your family. I can’t wait for what the next year has to come. Now if I could only convince one of my seesters to let me to dig a hole in their backyard to make an imu to roast a pig. Wouldn’t that be rad?? Add the potatoes to a large pot of water. Partially cover the pot and bring to a boil. Reduce heat to medium and cook for about 15 minutes or until the potatoes are tender. Carefully drain the pot and mash the potatoes (or put them through a ricer). Set aside to cool for 10 minutes. Beat one egg together with the olive oil. 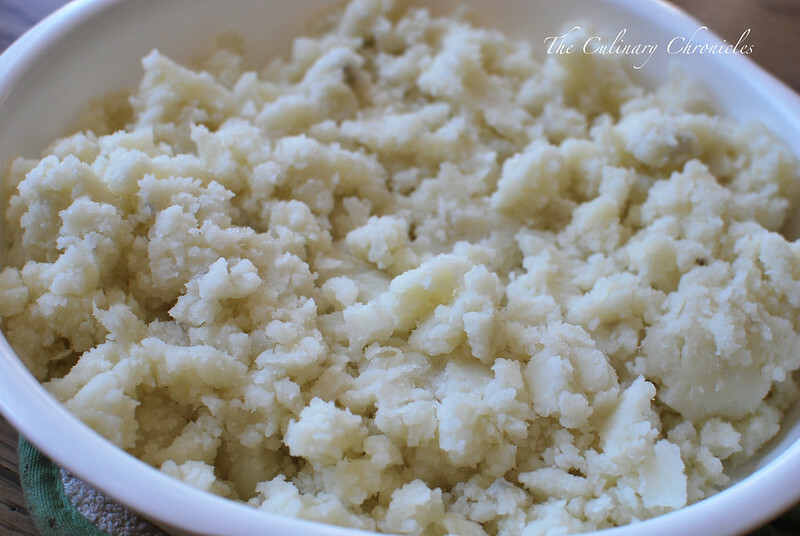 Add the mixture to the mashed potatoes with the parsley, 1/8 teaspoon paprika, ½ teaspoon kosher salt, ¼ teaspoon white pepper, garlic powder, and onion powder. Mix until combined. Take about a golf ball sized amount of the potato mixture into one hand. Flatten it out into your palm in an even, oblong shape that is about ¼ inch thick. 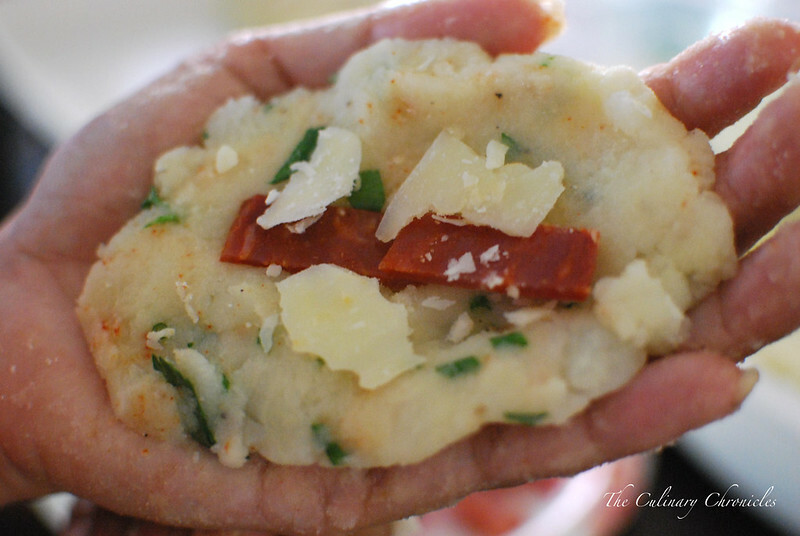 Add a few pieces of the chorizo and cheese in the center. Mold the potato mixture into a log shape, folding the sides to enclose the filling. 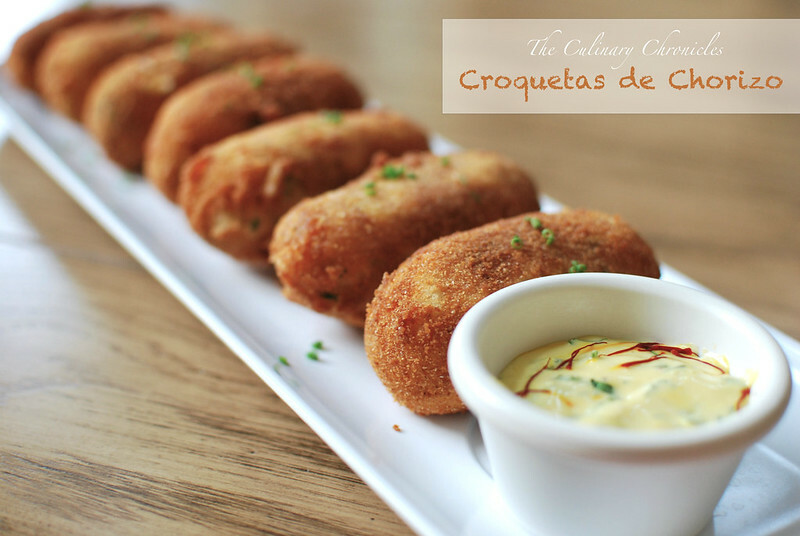 Place the croqueta on a large platter and repeat the process until all of the croquetas have been formed. Cover the platter with plastic wrap and refrigerate for an hour. Fill a large, heavy bottom pot with 2 inches of vegetable oil. Heat until the oil reaches 350 degrees F.
In a shallow dish, whisk together the remaining two eggs. Place the breadcrumbs and flour into two separate shallow dishes. Season the flour with the remaining kosher salt, paprika and black pepper. Take one croqueta and dredge it into the flour. Gently shake off the excess flour before dipping it in the egg wash. Roll the croqueta in the bread crumbs and gently shake off the excess. Set aside. Continue dredging the croquetas until you have enough to fit in the frying pot. 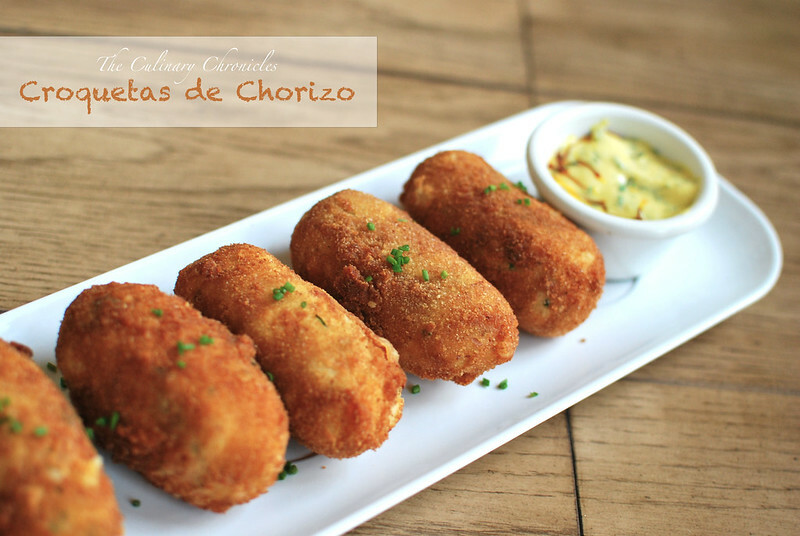 Fry the croquetas for 3-4 minutes, turning them from time to time until they become golden brown. Remove the croquetas and drain them on a rack or plates lined with paper towels. Optional: Once they come out of the fryer, sprinkle the croquetas with additional paprika. Continue the process until all of the croquetas have been fried. Garnish with a sprinkle of fresh chives and serve with the Saffron Aioli. Lovely tradition. Lovely family. Lovely food. Awesome! Is it possible to get the recipe for churos. Thank you! food looks good! I look like arse! Also, some of your photos aren’t displaying. I have no idea what that delicious paella looks like! I wish you had included the aioli recipe as well. Found you on tasty kitchen!